I'm SO looking forward to spring with all it's green grass, blossomed trees and beautiful flowers in a miriad of colors. 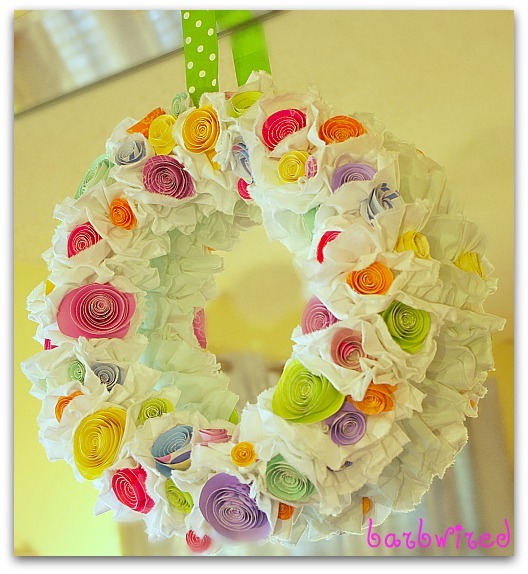 As I was catching up on my blog inbox, I found this wonderful post by tatertots and jello and fell in LOVE with this wreath by Barbwired. Go visit and find a wreath of your own to bring in spring and celebrate with a scream of festivity!